alaTest has collected and analyzed 37 reviews of Dell XPS 730. The average rating for this product is 4.2/5, compared to an average rating of 4.1/5 for other Desktops for all reviews. People really like the design. Reviews are divided on the size, while some have doubts about the usability and price. We analyzed user and expert ratings, product age and more factors. Compared to other Desktops the Dell XPS 730 is awarded an overall alaScore™ of 84/100 = Very good quality. First Dell that ships with overclocked CPU and RAM; supports both CrossFire and SLI multi-graphics card configurations; well-designed hard-drive bays; useful software utilities with no clutterware. Poor bang-for-the-buck, even for a high-end gaming PC; limited memory upgrade until 64-bit Vista becomes an option. The behemoth Dell XPS 730 H2C updates the model, but has some issues with 3D games. Are you an extremist? A person who wants the very best products and find that extreme (and exorbitant) prices don't matter to the wallet? 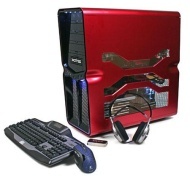 If that's you, then check out this review of an extreme gaming machine from Dell. Dell's Core i7-powered XPS 730x offers performance and features that will appeal to every gamer, but at a price that might give some pause. Are you an extremist? A person who wants the very best products and find that extreme (and exorbitant) prices don't matter to the wallet? If that's you, then this extreme gaming machine from Dell might be what you are looking for. Big, bold and perhaps beautiful to some, the XPS 730 is a heavy-duty machine with plenty of heart. It could use faster graphics card options, but its twin-8800GTs should do a reasonable job of satisfying most gaming urges. With the fast Intel Core 2 Extreme processors, the XPS 730 delivers reliable performance right out of the box. The XPS 730 H2C comes with Dell's patented two-stage cooling system that helps keep your overclocked CPU and chipset cool and stable. 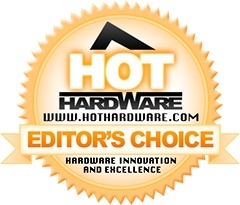 The innovative H2C hybrid solution combines a liquid radiator, a thermoelectric cooling module and control circuitry, optimizing CPU cooling with minimal power consumption. The XPS 730 H2C is the first to dominate with advances in gaming technology with a standard ATX case chassis design. ESA enables real-time and complete PC performance management, while delivering control and monitoring features for thermal, electric and acoustic characteristics. Tune your system to sustain peak performance or whisper-quiet operation. Let your rivals drool over the powerful components inside your system. The XPS 730 combines incredible power with uncompromising design for peak performance. This desktop comes with factory overclocked CPU up to 3.8 GHz.